Steve Brazier Chartered Accountant strongly believes in providing personalized, tailored solutions specific to your business or your personal needs. Be it e-filing annually, your personal taxes, preparing you company’s year-end financial statements, reviewing your bookkeeping systems/needs or in a review of your current business structure/operations and financial position. 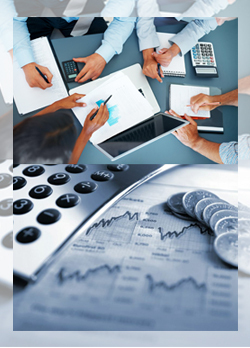 Bookkeeping Services - computerized software, as well as setting up an effective manual system, if preferred. Steve Brazier Chartered Accountant provides on going consulting/advice on taxation, accounting and business related matters.